How does one capture the essence of the forests? 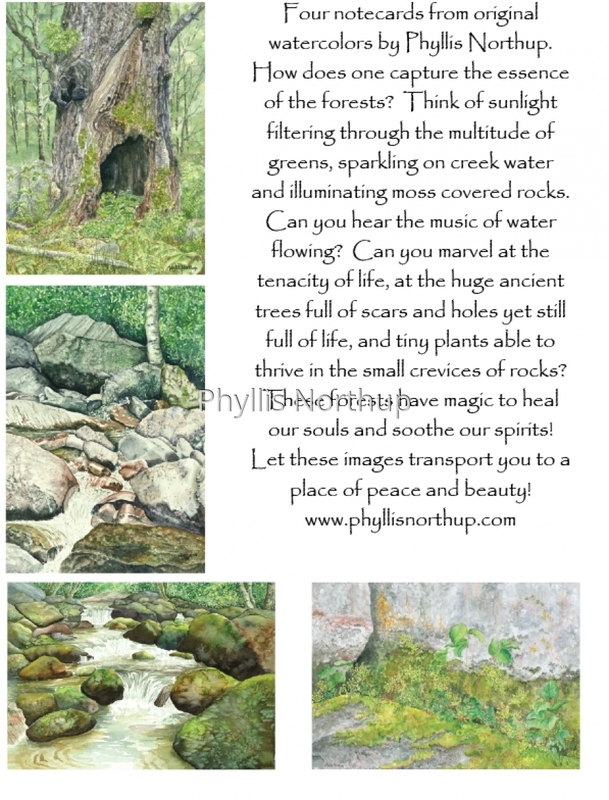 Think of sunlight filtering through the multitude of greens, sparkling on creek water and illuminating moss covered rocks. Can you hear the music of water flowing? Can you marvel at the tenacity of life, at the huge ancient trees full of scars and holes yet still full of life, and tiny plants able to thrive in the small crevices of rocks? These forests have magic to heal our souls and soothe our spirits! Let these images transport you to a place of peace and beauty! Four notecards with envelopes and postcard back card. Price includes shipping.